Anyone who’s ever sung into their hairbrush or harboured dreams of becoming the next Susan Boyle (or should that be Carrie Underwood) will find that Colombo has plenty to offer! If you're anything like me, every once in a while you can't resist the chance to get up and sing your heart out (the Spice Girls and the Elton John/Kiki Dee duet are my guilty karaoke pleasures, although apparently I recently also belted out Total Eclipse of the Heart!). So why not give it a shot when you're in Colombo, the vibrant capital of Sri Lanka. Forget about wailing into a microphone in front of an audience of bored businessmen; Colombo's karaoke bars have come a long way since the old days. 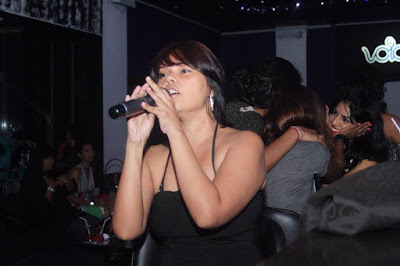 Like with many cities around the world, today’s karaoke venues in Colombo have been benefiting from a resurgence in popularity, thanks to televised singing contests such as American Idol and the highly-anticipated arrival in March this year of Sri Lanka's Got Talent. 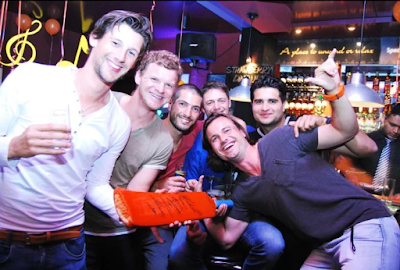 The most exciting karaoke bars in Colombo offer a great atmosphere, cool crowd and pretty high-tech facilities. 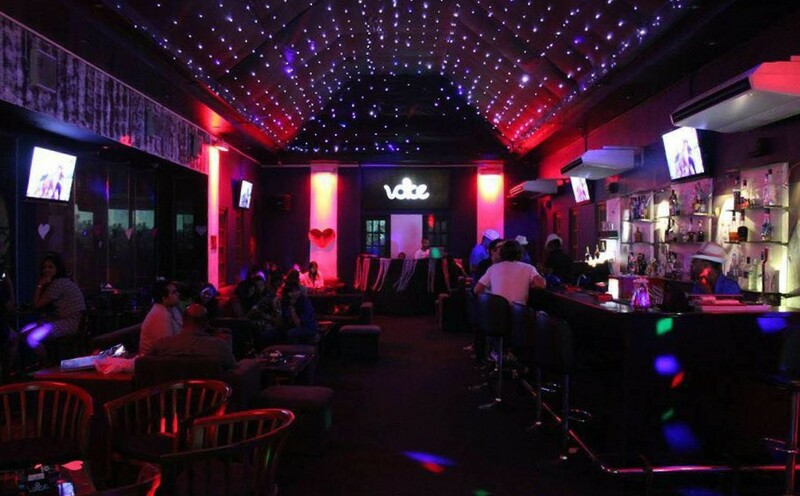 Without a doubt, Colombo’s flashiest karaoke bar is Voice Lounge (pictured above and left). Centrally-located, at the Burgher Recreation Club (off Havelock Road), Voice Lounge has it all - cool LED-lights on the ceiling, an extensive cocktail menu, high-tech sound system, large screens and a karaoke menu of hundreds of songs dating from the 1970s right up to the present day. Despite its glamorous appearance, a relaxed and friendly atmosphere helps to put even the shyest of wallflowers at ease and you can choose if you want to perform standing on the stage or sitting down with your friends. Voice Lounge also holds an American Idol-style singing competition named Voice Idol, so you can really get into the competitive spirit. By contrast to the glitz of Voice Lounge, Sopranos in Maitland Crescent offers more of a retro-style New York vibe (as the name might suggest). With dark, stylish décor, low lighting and plush sofas, Sopranos draws its inspiration from jazz bars of the 1950s. Perhaps rather surprisingly for a karaoke bar, Sopranos has no stage. Instead, singers can test their pipes from the comfort of a sofa. The low-key, sing-a-long atmosphere appears to be a recipe for success because Sopranos has been going strong for more than a decade and still draws in large crowds every weekend. 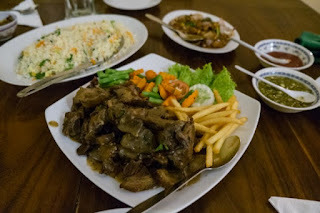 The Hilton bars always attracts a rambunctious mix of guests, Sri Lankans and expats and the hotel's dedicated Stella Karaoke Bar and Lounge is still a very popular choice. It looks pretty sleek, as you may expect from a Hilton, but that certainly doesn't do anything to subdue the spirits of the singers. It's a really fun spot for parties and groups of friends, and even if you're travelling alone you can often crash. A combination of good Chinese food and karaoke has been bringing a fun clientele to the more old-school style Chopsticks Karaoke and Pub in Nawala Road for years. On Friday evenings the dimly-lit bar above the restaurant comes alive with party-goers singing songs from the 80s, 90s and present day. 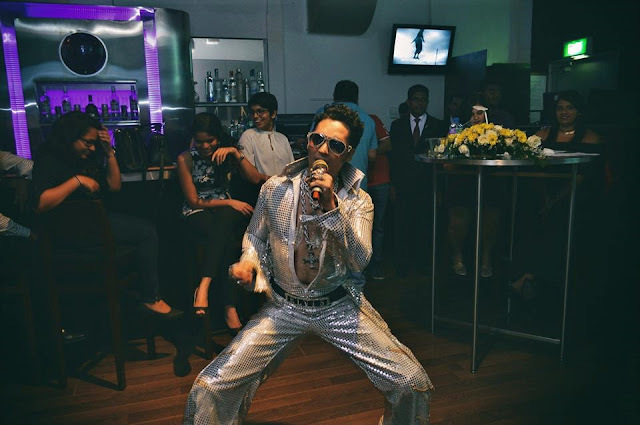 It’s not the swankiest joint in Colombo but with a friendly atmosphere, reasonably-priced drinks, decent sound equipment and a wide choice of songs to choose from, the experience itself makes for an excellent night out. You’re sure to leave having made new friends! These venues all offer something for everyone, now it’s time to get those pipes warmed up and get out there - it's elakiri! Digital Nomads: If You Can't Find Your Tribe, Create One! Search and book the best deals! Find the best deals! Book now!